Here at Exeter, we love visiting some of the best art and design museums around the world with our clients. 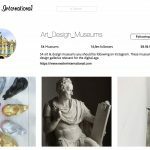 So we thought it would be interesting to bring together a collection of the best museums on Instagram so those that can’t visit the countries where they’re located can still get a taste of the incredible pieces they are home to and a small taste of what you can experience if you do ever visit. And we thought what better way to do this than with a faux-Instagram page of their own! 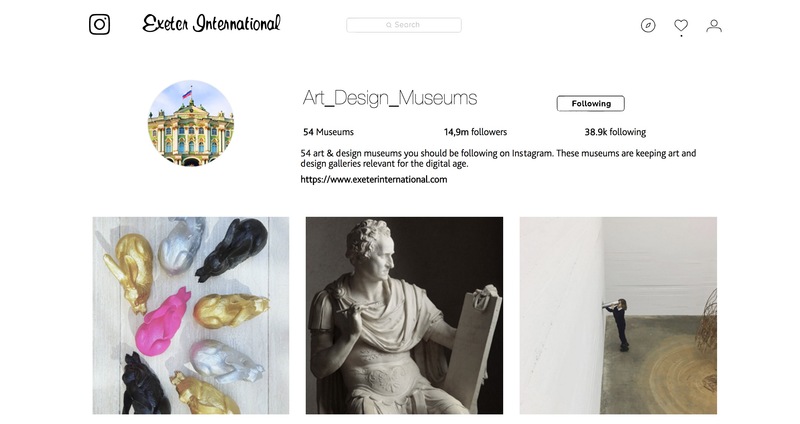 Click the link below to see our interactive page which shows off the 54 best Art and Design museums around the world on Instagram, and also links to each of their profiles for you to go and see for yourself. Enjoy – we hope you love them as much as we do!